Cleantech Venture Capital: Why Are These Investors Smiling? Cleantech venture capital has been a spectacular success. It’s just been unevenly distributed. I'm going to suggest that cleantech venture capital, as measured by societal impact, has been a spectacular success in 2014 and over the last few years. 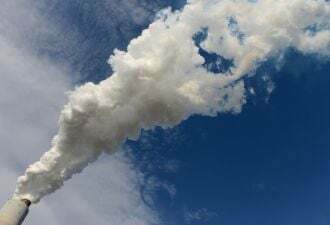 For the moment, I'm not going to allow conventional wisdom, hard financial data or actual events to intrude, and I'm going to ignore the smoking craters where most cleantech VC funds and startups once stood. While VC efforts in solar hardware have, for the most part, been epic failures, the hundreds of millions of VC dollars invested in firms such as SolarCity, Solar Universe, Sunrun, Sungevity, Enphase and Clean Power Finance have unleashed tens of billions in the U.S. residential solar market, creating a financial supply chain while establishing solar as a secure asset class. Without the innovation and breakneck pace of these VC-funded downstream firms, the U.S. solar market might have taken another five years to reach its current levels, if it took off at all. Yes, there were U.S. subsidies and China's solar industrial policy -- but third-party ownership and simple solar finance were the other pieces of the puzzle that made solar grow in the U.S. The surge of third-party ownership in residential solar drew new financial tools to the industry, such as asset-backed securities for aggregated solar rooftops. Enphase, one of the few successful VC-funded solar hardware firms, changed the installation process for a sizable segment of the U.S. residential solar business and is challenging the multi-billion-dollar inverter industry. Zep Solar, a solar hardware innovator with funding from investors including The Ecosystem Integrity Fund, was acquired by SolarCity in 2013 for $158 million. Hard lessons learned in the cleantech VC frenzy of 2006 to 2010: displacing silicon PV with thin-film PV is not a job for today's VCs. Let Hanergy, First Solar, Solar Frontier and Brad Mattson take on that challenge. Despite the list of VC-funded solar failures, venture capital got the thesis right: downstream solar was ripe for innovation and scale. VC firms that saw this coming include KPCB, DBL Investors, Foundation Capital, Accel Partners, Sequoia Capital, NEA, Madrone Capital, RockPort Capital, Firelake Capital, Hennessey Capital, Black Coral, Third Point Management, Claremont Creek Ventures, Sand Hill Angels, DFJ, Tao Ventures and others. However, some of these same investors also invested in Nanosolar, HelioVolt and Solyndra -- so calling them cleantech savants is less than accurate. Tesla has altered the nature and pace of electric vehicle adoption in the U.S. Yes, Elon Musks, DOE loans and NUMMI factories are not easily replicated -- but only institutional VCs could have borne the early risk of an iconoclast-helmed electric-vehicle upstart building a car factory. The VC-funded firm transformed EVs from nerdmobiles to luxury fetish items -- and might be able to turn that momentum into a larger-volume mass-market vehicle. Tesla management and VCs such as DBL Investors, Technology Partners, VantagePoint, Valor, DFJ, The Westly Group, Al Wahda Capital Investment, Compass Venture Partners, Riverwood Capital, The Vertical Group and Kite Hill Capital managed to keep Tesla on course despite technological, financial and personnel dilemmas. It's really hard to build a car company, but Tesla survives among the wreckage of VC-funded automotive firms such as Fisker, Next Autoworks and Coda Automotive. If Tesla is driving an EV revolution, it was venture capital that helped light the fuse. Opower, with its utility energy-efficiency program business, is the only VC-funded cleantech company to go public on a major exchange in 2014. VC investors included Accel Partners and Kleiner Perkins Caufield & Byers, NEA and MHS Capital. The M&A pipeline in cleantech is weak. The only sizable acquisition of a VC-funded cleantech firm in 2014 was Google's $3.2 billion purchase of Nest, the thermostat and home energy management company. Silevo might have provided a favorable VC exit in its acquisition by SolarCity. So I've made the case that VC-funded cleantech has been doing real damage to enormous incumbent markets and has made a few investors a decent return. But actual investment data supports the case that cleantech venture capital is a wasteland. Total dollar volume and deal count is stagnant, while early-stage deals are a rarity. Rob Day of Black Coral Capital and Cleantech Investing fame notes that in the first four months of 2014, there were no funds that were very active in early-stage cleantech. "The only firms that showed up as a major new investor more than once were DBL Investors and Andreessen Horowitz," reported Day, adding, "And there was a long list of notably missing 'big cleantech firms': No RockPort. No Nth Power. No Chrysalix. No EnerTech. No Claremont Creek. No Angeleno Group. No SAIL. And yes, no Black Coral Capital (my firm)." Day continued: "[T]he 'traditional cleantech funds' have been awfully quiet lately, especially in the early stages. For many of them, including some listed above, they no longer have the funds to be active lead investors. They're near the end of their fund life, they're husbanding their remaining capital reserves, they need to raise a new fund, and in the meantime, they're taking meetings to stay in the mix, but are mostly just biding their time. And for other firms, including my own, the lure of being able to invest in later-stage companies in an increasingly capital-scarce environment pulls us away from early-stage investment." 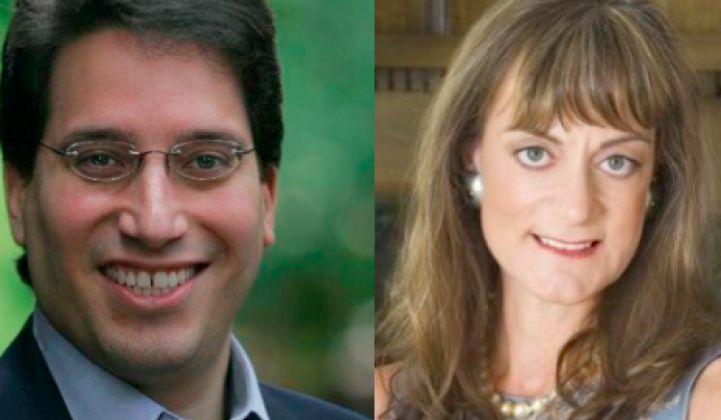 Amidst the rubble of the sector, Ira Ehrenpreis of VC firm Technology Partners and Nancy Pfund of DBL Investors share a common investment edge: Elon Musk, the CEO of Technology Partners' investment Tesla and Chairman of DBL's investment, SolarCity. Both investors have maintained their board seats on those winning firms. Last month, Dan Primack of Fortune's Term Sheet blog spotted the fact that DBL Investors was looking to raise $300 million for its third fund, according to an SEC filing. The SEC filing listed Ira Ehrenpreis as a partner in the firm. As Primack notes, "Ehrenpreis remains listed as a general partner and head of the cleantech practice at Technology Partners." DBL raised a $150 million fund in 2010. The DBL portfolio includes Powerlight, PowerGenix, Ogin, OPX Biotechnologies, Siva Power, View, Primus Power, SolarCity, eMeter, NEXTracker, Tesla and BrightSource. The Technology Partners cleantech portfolio has Tesla, but includes or has included Accelergy, Abound Solar, Alta Devices, Akros Silicon, G2X Energy, IMERGY, Imperium Renewables, Kaiam, Ogin, PolyFuel, PowerGenix, Sensicore and Solexel as its investments. Despite the big Tesla win and Ira, were Technology Partners' LPs still reluctant to help form another fund? 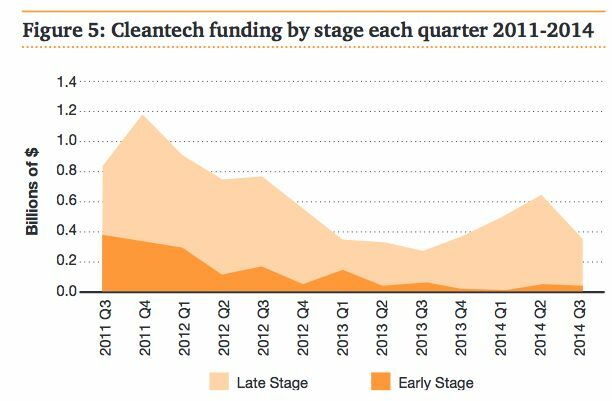 Is that the state of cleantech fundraising? Can or will NEA or RockPort or KPCB ever raise another early-stage cleantech fund sometime before 2030? Pfund and Ehrenpreis could not comment for this article. While most VCs are placing bets and making large multiples from health, cloud, security, mobile, storage and retail innovation, cleantech VC has become an orphaned sector. The lack of LPs willing to contribute to cleantech funds inhibits VC investors from gaining sector expertise and prompts smart investors to leave for other industries. It's a generational loss of cleantech VCs. The tragedy is that the energy industries are in a state of change, and that's a good time for investors to make money in cleantech. Utilities are seeing distributed generation interrupt the $300 billion U.S. electricity delivery business. Electric vehicles are approaching mass-market acceptance. Incandescent bulbs are history. Energy storage could soon be economically competitive with natural gas. Utility business plans are in flux.